Many anglers are opting to fish from a kayak rather than a boat. While boats allow anglers to cover more water, kayaks bring many advantages over boats. 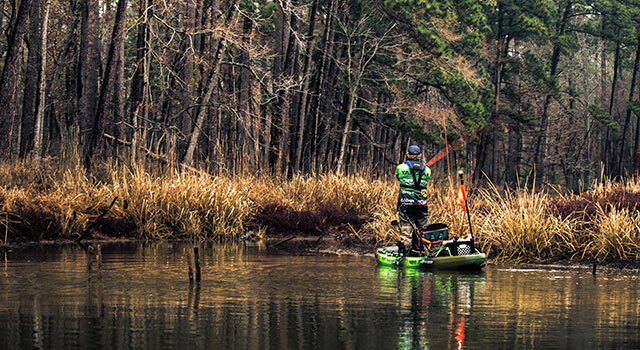 From the quiet solitude of fishing a creek inlet to having more cash in your wallet, kayak fishing is quickly becoming one of the most popular ways to get more time on the water. YakGear looks at some of the benefits to taking to a kayak in search of your perfect fishing spot. Launching a boat requires a boat ramp. A kayak can be launched virtually anywhere there is access to the shoreline. A kayak cart, such as the C-Tug SandTrakz All-Terrain Kayak and Canoe Cart, makes loading and transporting a kayak easy, even over rough surfaces. Boats also require bigger and deeper bodies of water to be useful. Kayaks draw little water and allow anglers to access smaller lakes, ponds, streams and backwaters to get to fish areas that experience less fishing pressure. As anyone who has owned a boat before can attest, purchase price, fuel consumption and yearly maintenance for a boat can be incredibly expensive. An angler can purchase a reasonable kayak for a few hundred dollars and put that saved money into tackle and accessories. While there may be a few exceptions, most states don’t require unpowered watercraft such as kayaks to register or file for a title, thereby saving money. Fuel costs alone are enough to choose a kayak over a boat, and maintenance for a boat can reach tens of thousands of dollars if you befall an unfortunate incident. The cost of replacing the lower unit on an outboard will soar into the thousands of dollars. Add in the continuous upkeep and care throughout the year, and your yearly fishing budget could dwindle down to nothing. While fishing from a boat allows anglers to cover more water, the unfortunate side effect is the temptation to blow-and-go to find more productive waters when the fish aren’t cooperating. Many kayak anglers mention seeing plenty of boat anglers come into their area only to leave with nothing but wet lines. Meanwhile, they stayed and fished out an area — and caught a quality limit. Catching fish is just one of the reasons we hit the water. Fishing from a kayak not only gives you a chance to reconnect with the outdoors, its smaller profile and quiet movement provides stealth to sneak up on wary fish. When looking to fill a limit, being quiet pays. Poling is a great way to keep noise to a minimum. With room on a kayak deck at a premium, the versatile YakStick Floating Stake-Out Stick doubles as a shallow-water anchor and a push pole to discreetly move or anchor around spooky fish. No matter the brand, kayaks can be fully customized to suit an angler’s particular fishing style or needs. Some kayaks come fully kitted out, while others are bare-boned units. 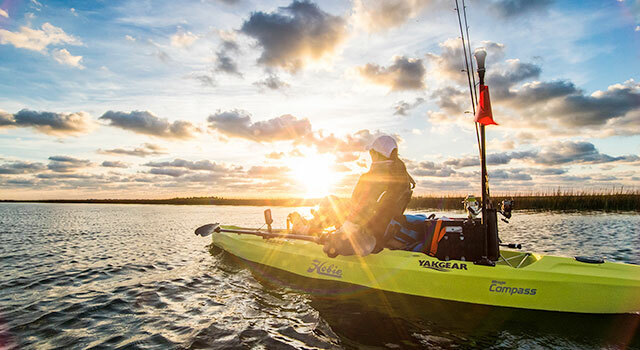 With more and more anglers fishing from kayaks, innovative accessories and storage solutions are being introduced to fill these needs. YakGear and RAILBLAZA have lines of kayak accessories to fully outfit a kayak. No matter if an angler is fishing saltwater for snook or the creeks of a freshwater lake for bass, these added features increase convenience and contribute to a more productive day on the water. 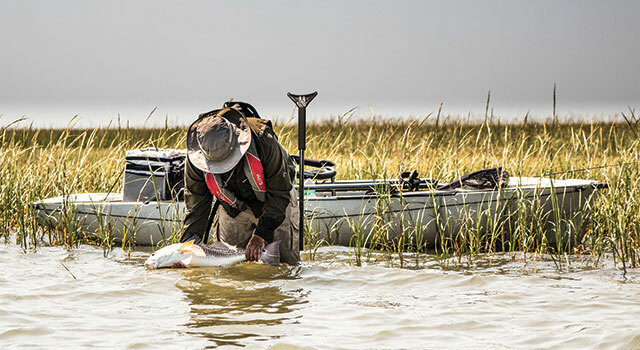 Kayak fishing brings many benefits but, most of all, it gives the everyday angler a way to spend more time on the water doing what they love — fishing.